Blog LED Outdoor Lighting Vs Halogen Lighting: Which is Best for Your Lighting Design? LED Outdoor Lighting Vs Halogen Lighting: Which is Best for Your Lighting Design? 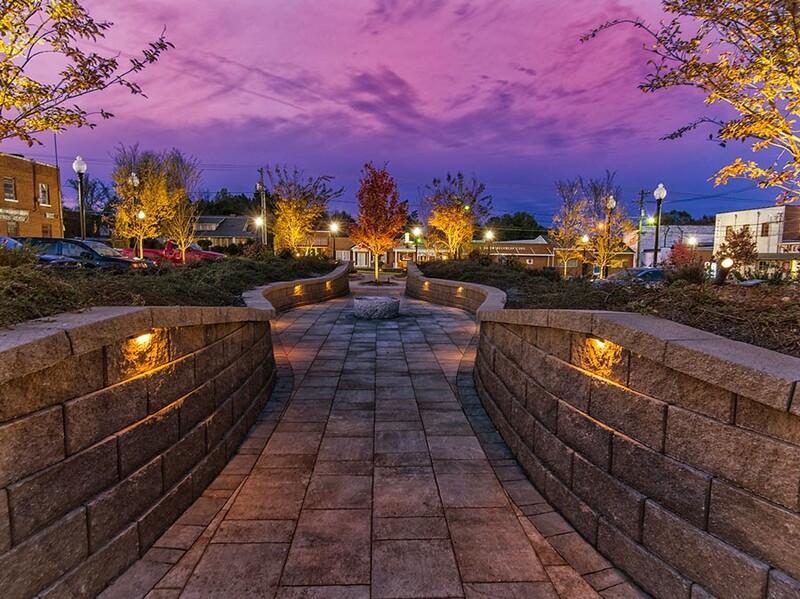 First, there is a place for both Halogen & LED outdoor lighting systems in the landscape. A lot depends on where you live and what your weather conditions are. For instance, someone living in Michigan that receives lots of snowfall every year would generally lean towards a Halogen lighting system due to heat generated from the lamps causing the snow to melt. Halogen lighting systems will be much hotter to the touch, burning off snow and allowing your lighting system to still operate properly in such conditions. Now, for someone that lives outside of such harsh elements, the choice is clear…LED all the way. LED outdoor lighting came into the market with some harsh criticism from the beginning due to the color it put off. LED lighting didn’t start out with good “natural” color tones, they were harsh, cold, and gave off a blueish color. This stereotyped the lamps for some time until the technology caught up with the industry. No longer is color a problem for LED’s, they now are a perfect match to Halogen lighting systems. Technology has improved so much, so quickly that the benefits far out way any drawbacks. LED outdoor lighting has rapidly grabbed the market and taken over. It’s unbelievable but true, LED lighting can cut your power bill in half compared to Halogen lighting systems. LED lamps have a general lifespan of about 50,000 hours which is much longer than the best halogen bulbs (4-10K hours). These energy efficient lights consume up to 80% less power and can burn for nearly 20 years before they go out. Do you have an older system with halogen lamps? Don’t worry, LED drop in (or also known as retrofits) lamps are available and can be easily swapped out. Think about this for a second. You can take one of your old 35 watt halogen lamps and change it out with a 3 watt LED lamp and have the same light output and color. Do the math and you’ll see why more and more homeowners and landscape lighting designers are making the switch for power consumption along. If you’ve had landscape lighting system installed before, chances are you are familiar with the maintenance needed to keep your system up and running. A Halogen lighting system generally will need to be re-bulbed every 8-16 months depending on how long you run your system at night because of the amount of heat generated to operate. Once one lamp burns out in a Halogen system, more pressure and voltage is put on the remaining lamps causing the lamps to prematurely burn out. Now think about that. Paying a technician to come out and re-bulb every year can get expensive. Although an LED outdoor lighting system may cost you a little more up front, the long term savings is overwhelming. Depending on the size of the system, your ROI could start paying for itself in about three to four years. After year three or four, your compound savings really starts making sense. At year 8, you can expect to have saved around $800-900 by switching to an LED lighting system. Calculate your system here: LED / Halogen ROI Calculator. Landscape lighting, both LED and Halogen have a wide and varied range of offerings from beam angles, color, and wattages. You are now only limited by your imagination. Some of the newest fixtures on the market are so small, that the light source can be tucked underneath and behind objects giving a mysterious and virtually invisible glowing appearance in the landscape. Retrofit lamps also come in different sizes from any number of manufacturers to fit most any fixtures. The smaller the fixture, the more important an LED lamp is used, because the heat that is trapped in such a small fixture has no where to go and will make the lamp burn out much faster. LED outdoor lighting runs much cooler, cool to the touch, which is why the length of life is so much longer. Not only are you saving money and reducing your risk, you are also giving back to our beautiful earth when you purchase an LED lighting system. LED lamps can be recycled because the LED lamps contain nickel, arsenic and some traces of lead which can be reused once the lamps burn out. Unlike the traditional halogen lights which contain mercury and are unable to recycle. Also, your landscape lighting professional should be using less wire due to the low amount of voltage drop an LED creates and reduce the size of the transformer needed to power your lighting system. You now can safely increase the number of fixtures on one single run of wire utilizing less materials. It’s a no brainer! In the earlier days (Pre LED times), the transformers used many times were excessively loaded up to 80%, leaving virtually no space for further additions to your system. An LED fixture in-turn, frees up ample load off the transformers which allows you to add almost five times the number of lights without over burdening the system or having to upgrade to a larger size. Another critical factor making LED outdoor lighting systems more favorable is the safety they bring to the landscape. As mentioned before, LED outdoor lighting systems are cool to touch and do not generate heat, thus avoiding the threats of fires and heat burns. They are made from non-toxic chemicals (mercury) and are eco-friendly posing no threat to the environment. Ready to switch your home or business outdoors to LED lights? A landscape lighting professional can help guide you through the process of selecting the right fixtures, assessing your property to highlight the most important elements, and determining a budget to design towards. Unlock all that landscape lighting has to offer by utilizing all the new innovative lighting techniques and design options available to you. Call the experts at Southern Lights of NC for your next lighting design, service & repair, or new installation. Hire a certified professional that knows the industry, offers strong warranties, and has a track record to showcase their versatility in the landscape lighting industry. Southern Lights only employs certified technicians who specialize in landscape lighting. We currently carry both CLVLT (Certified Low Voltage Lighting Technician) certifications and a COLD (Certified Outdoor Lighting Designer) on staff.